We get asked all the time why some self-storage facilities do so well while others struggle. The answer is simple: management. If you take two self-storage properties in the same market with the same exact specifications, and give one to an owner who selects a good manager and markets aggressively and the other to an owner who hires a lousy manager and does not monitor what he or she does, the first owner will always win by a wide margin. The national average is that a self-storage facility turns over 10% of its customers monthly, and that means that a bad manager can destroy your business. It is therefore essential that any smart owner put a good degree of effort in selecting, training and retaining good employees. In this month’s issue, we try to give you some tips on this. Even the best self-storage facility manager can have trouble with the finer points of selling. The most common issue is actually closing the sale. It’s one thing to get someone in the door, but it’s another to actually get them to sign a lease. So what are the steps to closing a sale? You need to size up who is actually going to sign the lease and focus on appealing to their needs and desires. If it’s a couple, and you sense that one spouse seems to be doing all the talking (and probably making the decision to buy) focus on that one person and what they’re saying. If someone comes in that is not the decision maker, but simply gathering information, find out what are the important things to the person who is not there. That’s you real target. Before you can sell something, you have to believe in it yourself. Most customers can sense that something is wrong when the salesperson does not feel “honest” in what they’re saying. For example, have you ever noticed how weak the sales pitch is at Office Depot when the salesperson tries to get you to buy the extended warranty on the $100 printer. They know it’s a bad deal – a stupid idea – so they have trouble even saying it with a straight face. What this means is that you, as the owner, have to make your product “insanely great” as Steve Jobs would have said. Once the manager is a firm believer in the product and price, they become a good salesperson because they actually believe in what they’re doing. All Americans are guilty of procrastination. They put things off longer than they should. So to battle this weakness, you need to create a sense of urgency. Tell the customer that there are only a few of that size unit left. Tell them that you have a special that ends today. Do whatever it takes to light a fire under them to take action. Make it clear to them that there is a good reason to sign up now. Before the first customer ever walks in the door, make a complete list of potential concerns that might stop them from renting a unit, and have a prepared argument to overcome those objections. If your property has limited access from the highway – and you know that could be a problem – be prepared to say “yes, but that little extra drive gives you a huge savings in dollars” and “being far off the freeway makes us more secure from undesirable folks”. There should never be a question that you have not already thought through on the answer. You can’t be competitive if you don’t know what you’re up against. A smart owner becomes an expert on every rate and special in their market. You should know these by memory. You can even mystery shop the competition to see how they approach their offers. If they just raised their rent by $10 a month, you should have already known that and raised yours by $8. Nobody likes a hard sell. Give the facts, make your case, but don’t overdo it. Some people just like to think about things overnight. Push but don’t be pushy. Always treat people as you would want to be treated. Ever go to the Apple store, and the sales people give you all the facts and the sales pitches, but they don’t make you uncomfortable? That’s what you want your manager to do. Given all these facts, how do you make sure that your manager is actually good at closing deals? Mystery shop them. Hire people periodically to pose as customers and grade the manager’s efforts. Don’t just assume that the manager is doing a good job. You’ve heard the old adage: to assume makes an “a_ _ of u and me”. Pretty true unfortunately. There’s no point to all the marketing in the world if you can’t close the deal. It’s an essential sales skill, and many self-storage managers lack it. A high closing ratio equals a high level of occupancy. Help managers to develop this skill, and you will be miles ahead financially. To be a successful, a self-storage facility has to take advantage of every marketing opportunity. One of the largest began in the 1990s, with the establishment of the internet. It’s amazing how many self-storage facility owners don’t have a clue how to harness the power of the on-line marketing world. Here are the key internet marketing attacks that every self-storage property owner should be utilizing. You have to build a website for your property, as well as your overall company, if appropriate. The website should give all the information on where your property is located, as well as pertinent sales points, and great looking photos. It should make the customer comfortable that you are a safe haven for their material goods, and that you are professionally managed. Don’t scrimp here and use your ten-year-old grandson to build it. This is your image to the public and needs to be top-rate in appearance. It is vital that when a customer Googles “self-storage in (name of town)” that your business pops up. By listing your self-storage facility on Google Places, you will show up on any internet search, and that’s a huge issue. Best of all, this enormously powerful marketing tool is free. Craigslist is the #1 classified listing service on-line. You would be foolish not to take advantage of this to advertise your vacant units. Craigslist can you phone ring like crazy. And best of all it’s 100% free. Facebook Community Groups have a really high rate of engagement from users. You would be shocked at how many people make buying decisions based on searches of these Facebook groups – particularly younger Americans who have a lot of items to store. And, as with many of these tolls, it’s 100% free. Although the good old-fashioned yellow pages book is long dead in most markets, it lives on via the internet. 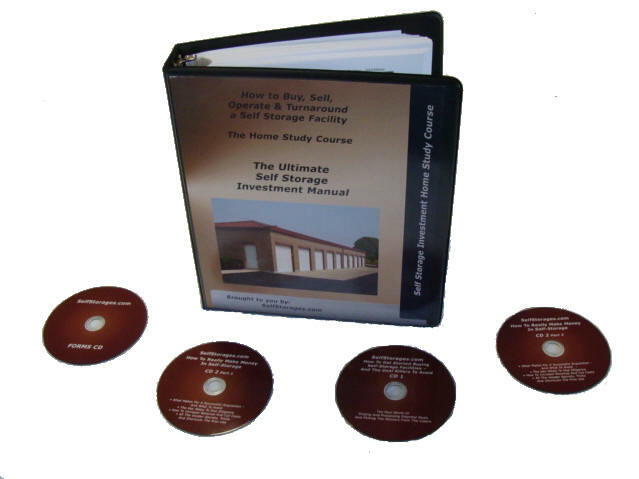 You should definitely make sure that your self-storage facility is found in this classic resource. While not always free, the cost is typically very low, and the marketing power is very high. YELP is the #1 user rating service on the internet. It’s a place where people compare notes on goods and services, but also search out top-rated businesses for whatever product or service they need. And, as with most of the successful marketing options shown in this article, completely free of charge. The internet is an extremely powerful marketing tool for any successful self-storage facility. Learn how to harness its energy for your property, and you will hit higher occupancy that you would imagine. 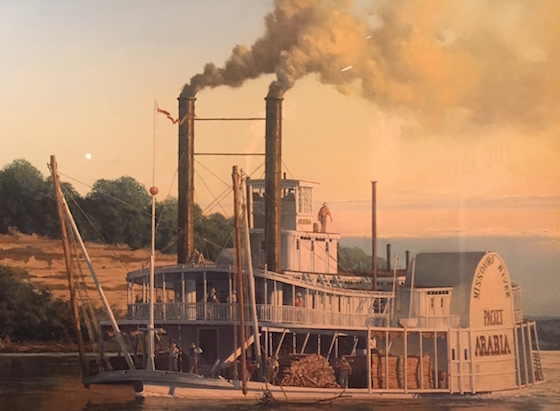 The Arabia steamboat was one of the giant riverboats that travelled the Mississippi and Missouri Rivers in the mid-1800s. It sank in 1856, and was found in a Kansas farm field in 1988 by some amateur treasure hunters. What was amazing was that it carried 100 tons of cargo. Think about how amazing it is that basically a wooden platform could hold that much weight and sheer bulk – that’s the same as carrying 100 automobiles on a piece of wood. But you don’t have to worry about competition from these wooden behemoths today; the Coast Guard outlawed them from the nation’s rivers back in the 1970s. 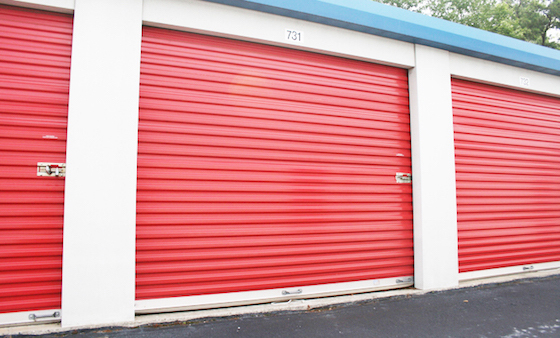 What Are The Top Five Most Common Items Found In A Storage Unit? You can put just about anything inside more storage units, but industry studies have shown that there are five key things that most Americans store. This includes both automobiles as well as recreational vehicles. People store vehicles for many reasons, but typically it’s simply a lack of space at their home. Most collector cars are found in storage because they are only used occasionally and the owners want them to be secured. This is typically a product of an America that’s on the move, and needs a place to store their furniture while they’re in transition. A growing part of this group are seniors who are selling their homes and downsizing. This includes seasonal clothing that’s clogging up the closet, as well as other items that perhaps don’t currently fit. Because it’s expensive and bulky, clothes are a natural fit to store rather than give away or throw away. Is there any one item more common in a storage unit than a Christmas tree? Probably not. But seasonal items can extend to pool equipment and inflatable kid’s toys.